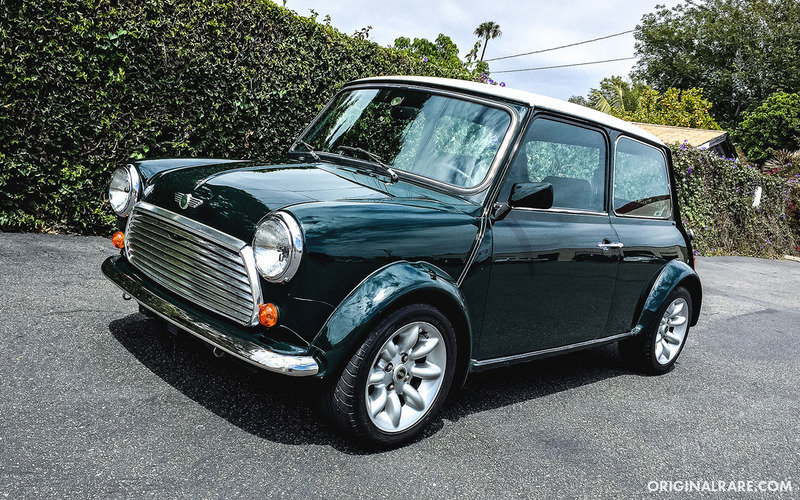 Find this 1991 Mini Classic here on eBay bidding for $7,100 with auction ending Tuesday at 9AM Pacific. The car being offered is a left hand drive 1991 Rover Mini Cooper, which is ideal for driving on the right side of the road in America. It has a 1.3L Carbureted straight-4 which produces 61 horsepower and a curb weight of around 1,500 lbs. The power to weight ratio of this car is phenomenal which makes the acceleration fun and the handling great. 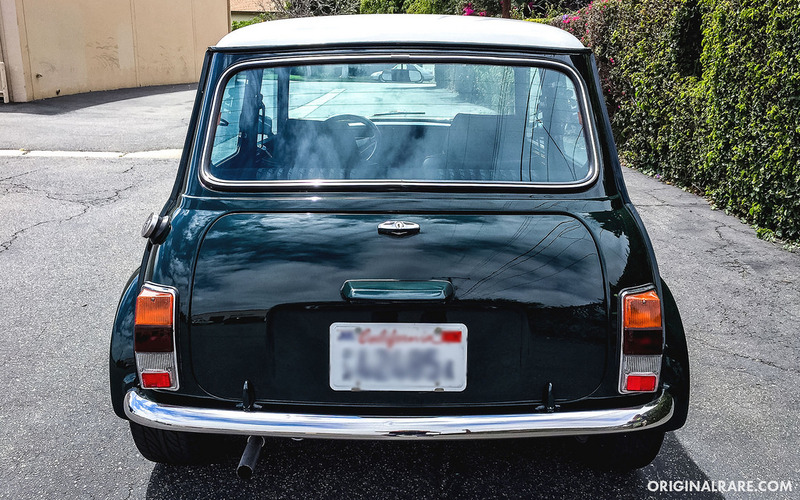 The exterior is finished in historical British racing green with black interior and patterned cloth seats. The odometer reads 105,276 km (65,415 miles) and has been maintained very well throughout the years. There are absolutely no oil leaks as it was recently serviced and safety inspected. Exterior panels of the car are in excellent condition with no dents. 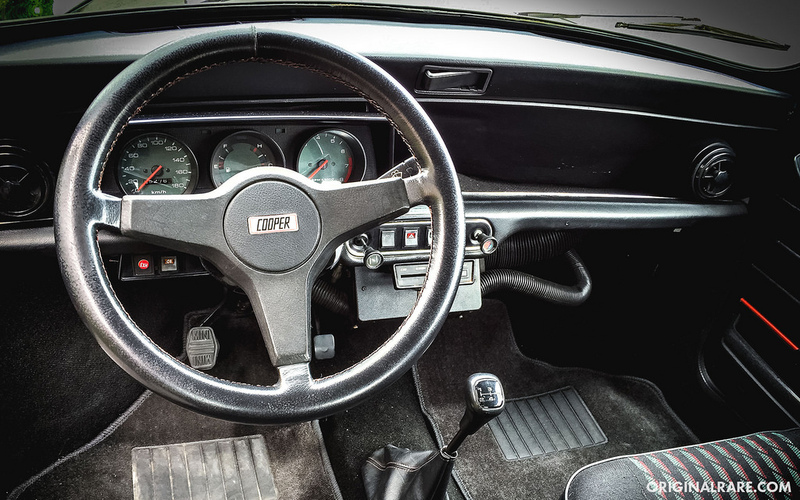 The interior is also in excellent condition with no rips, tears, or cracks. This car has current United States title, license, and registration. 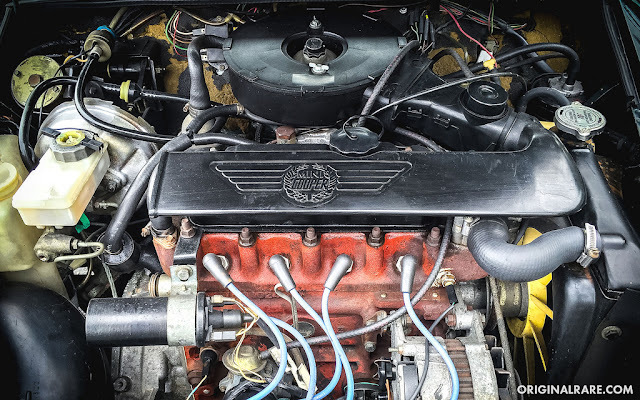 The value of classic Mini’s have been going up steadily in recent years with collectors looking to get their hands on a rust free and engine running example. Recently, a non-restored all original 1967 Austin Cooper S with a seized engine sold for $55,000 on Bringatrailer. 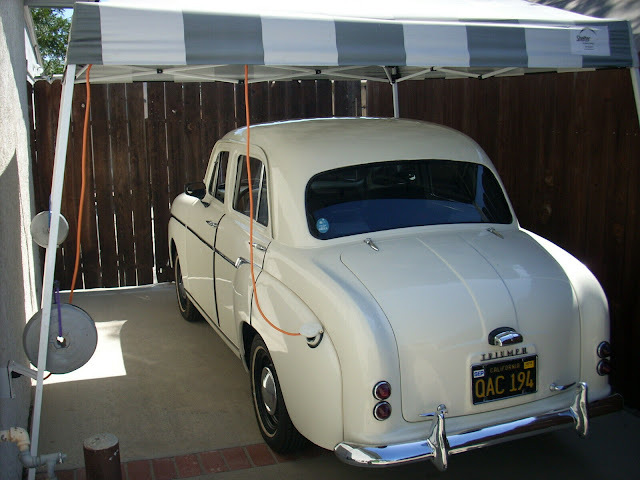 With this car you are getting a great value because there is no restoration work required. The car is ready for you to drive off and zip around town.